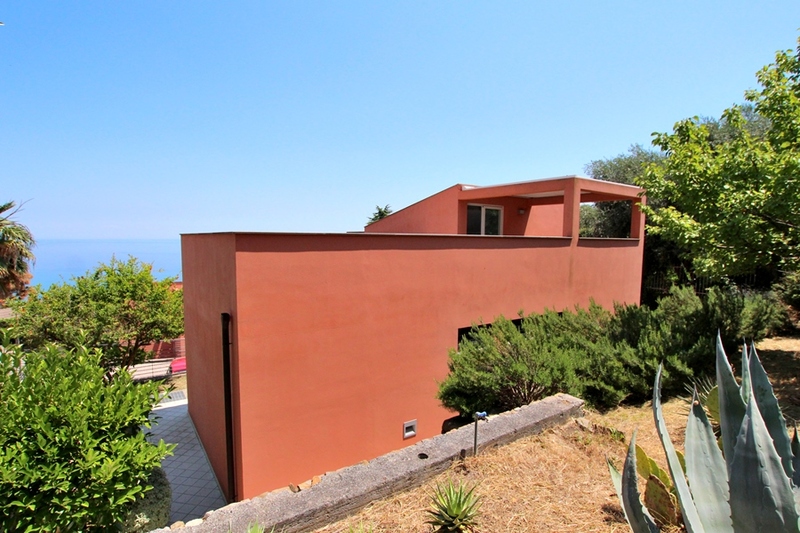 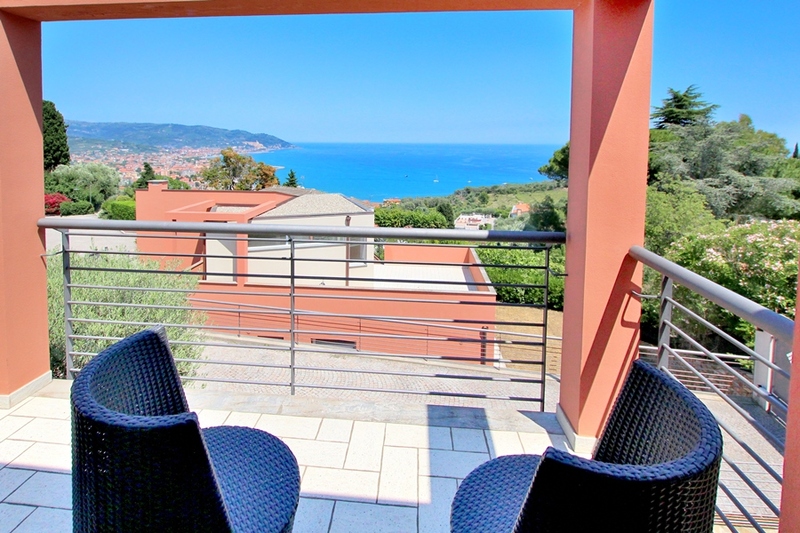 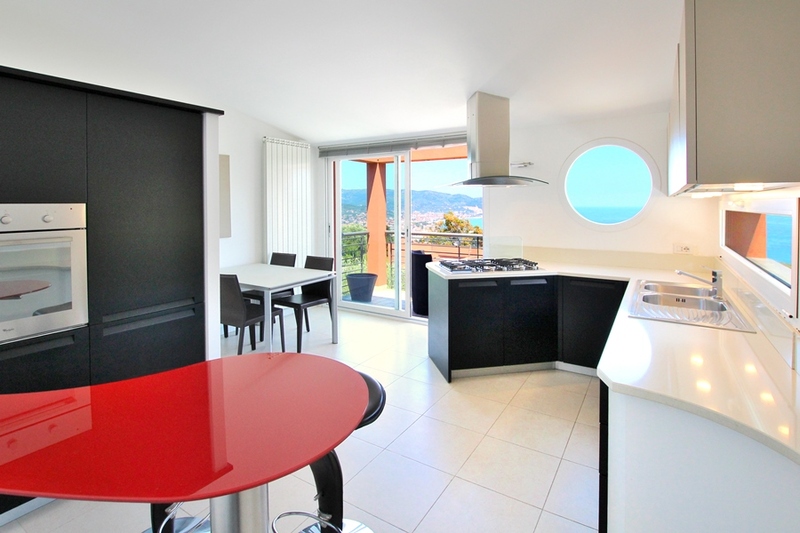 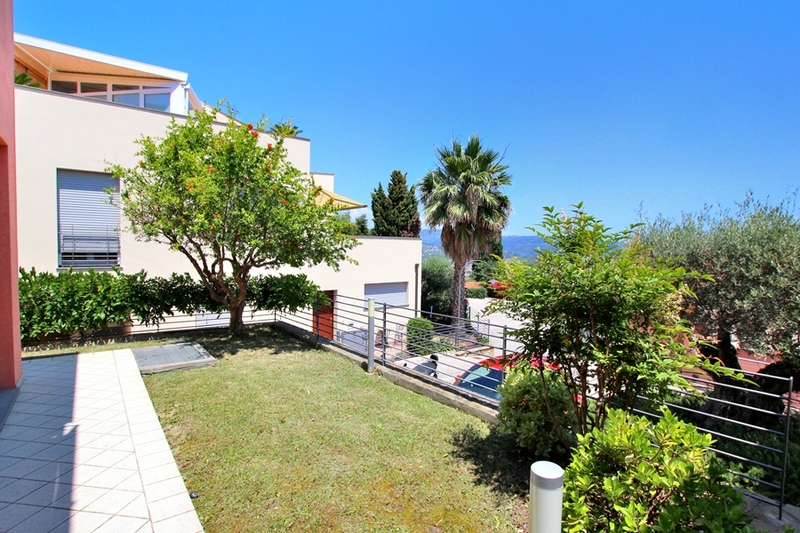 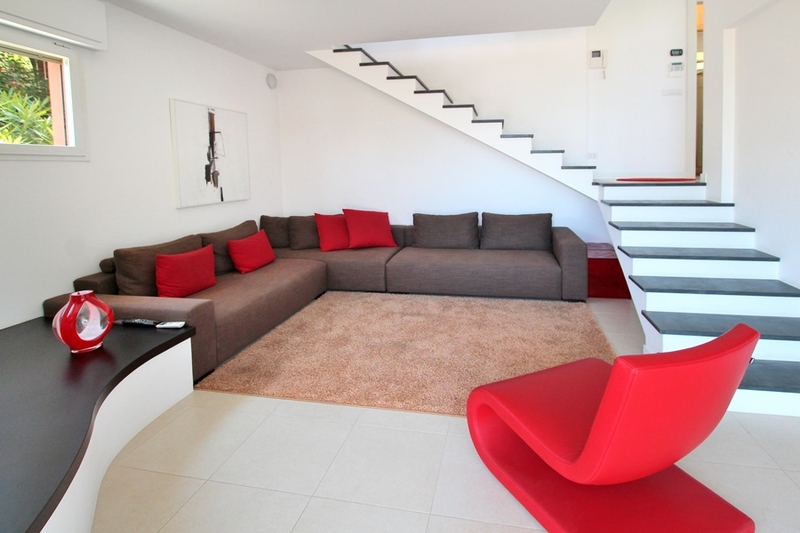 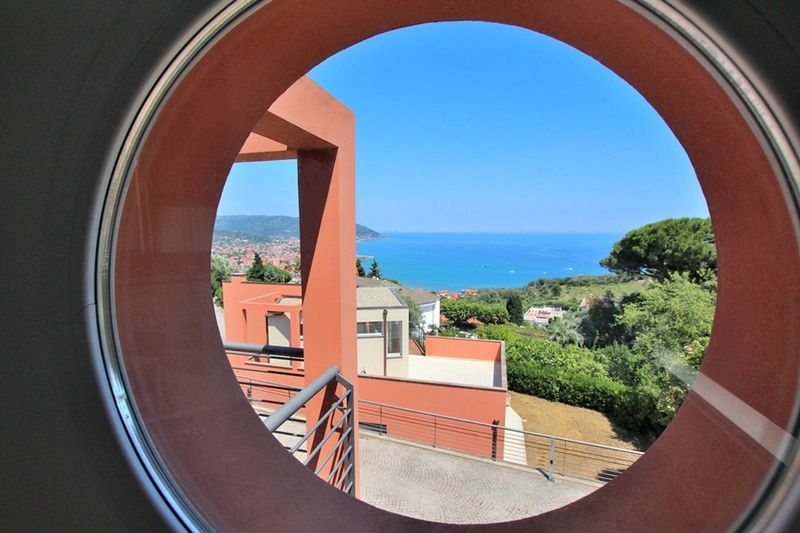 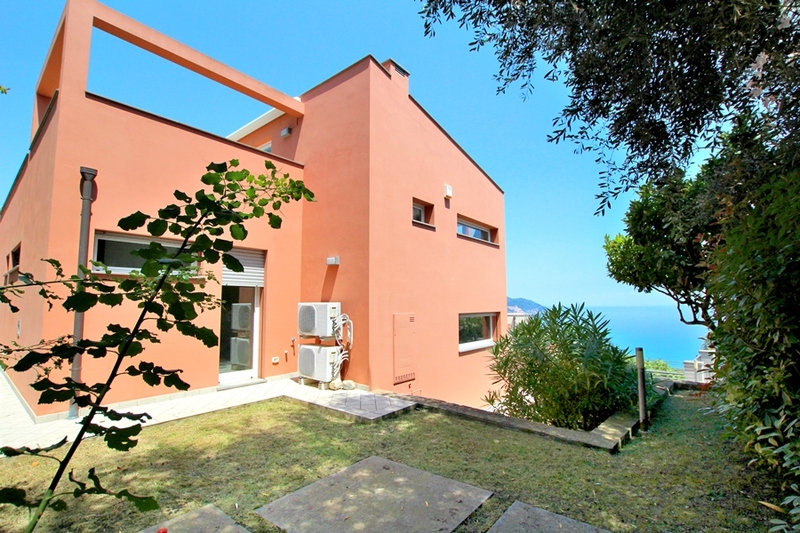 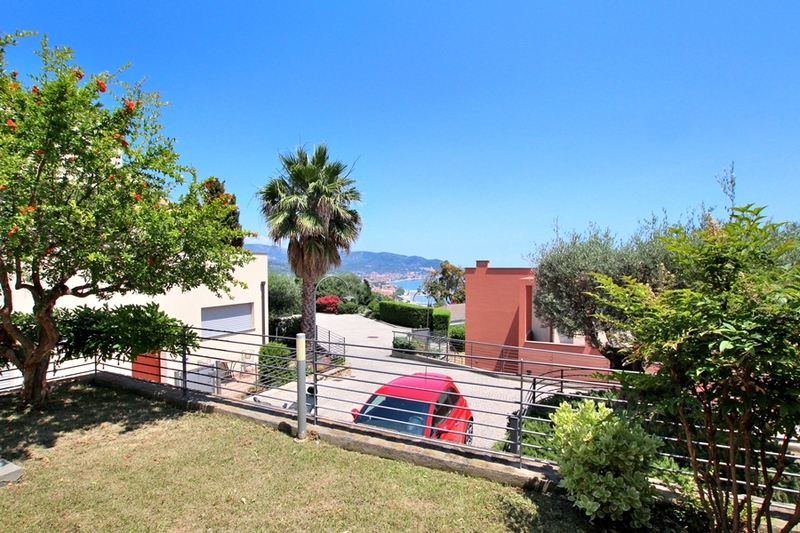 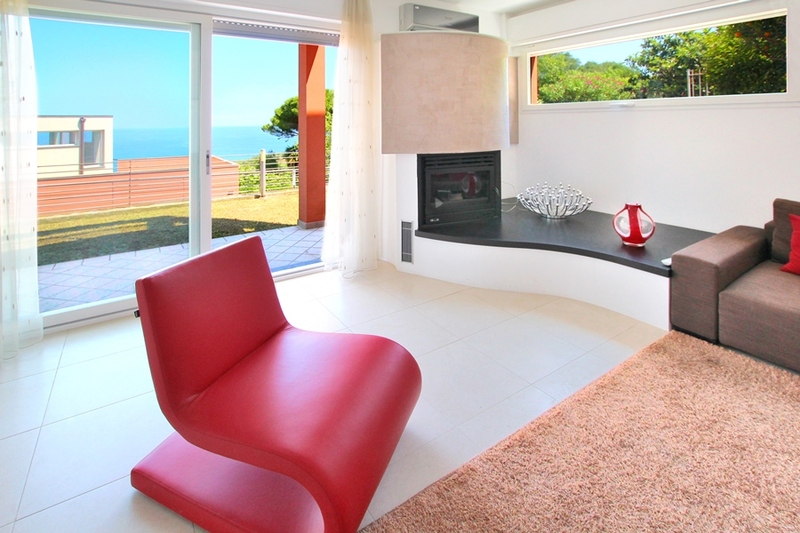 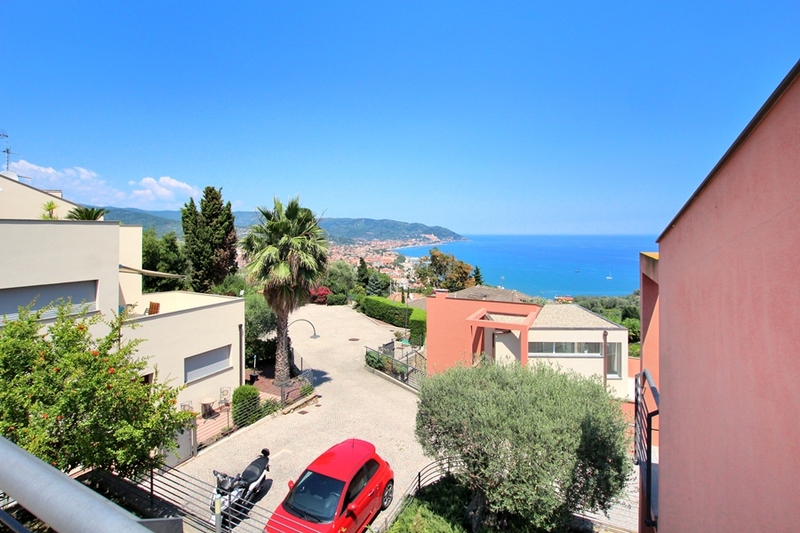 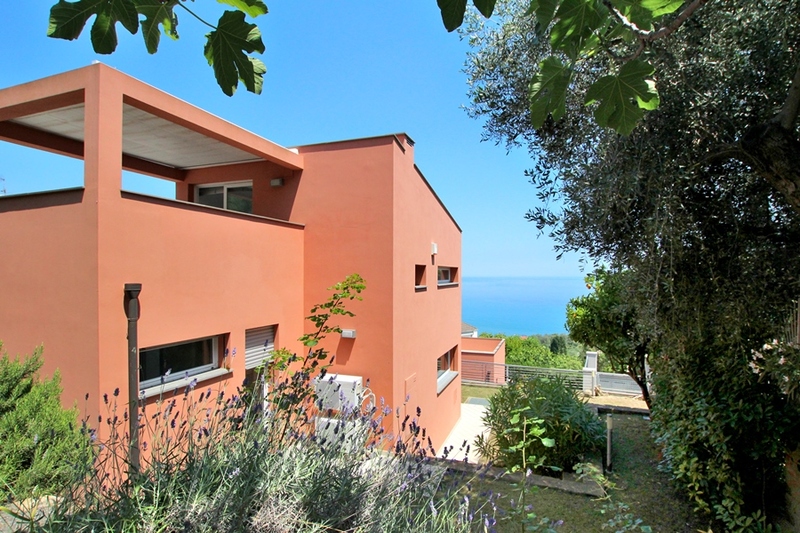 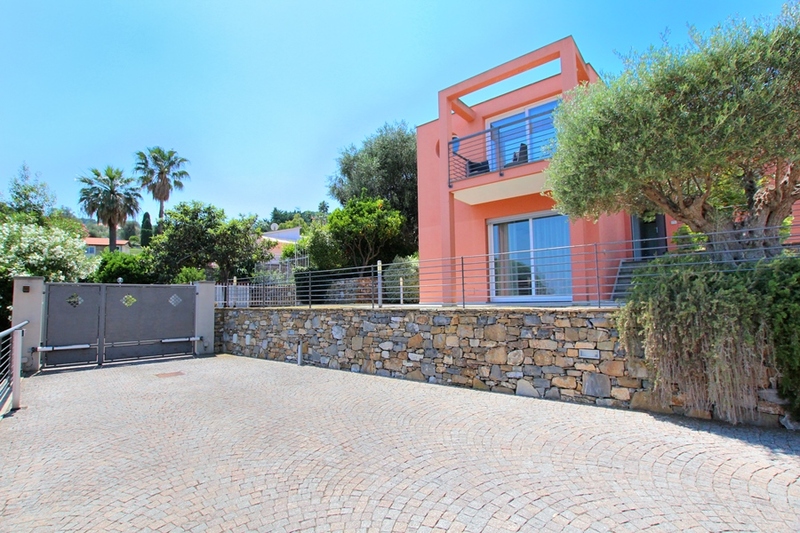 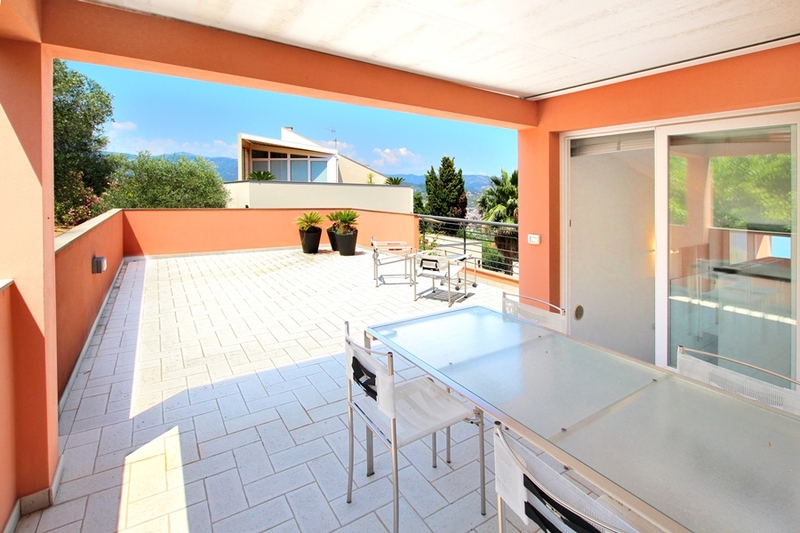 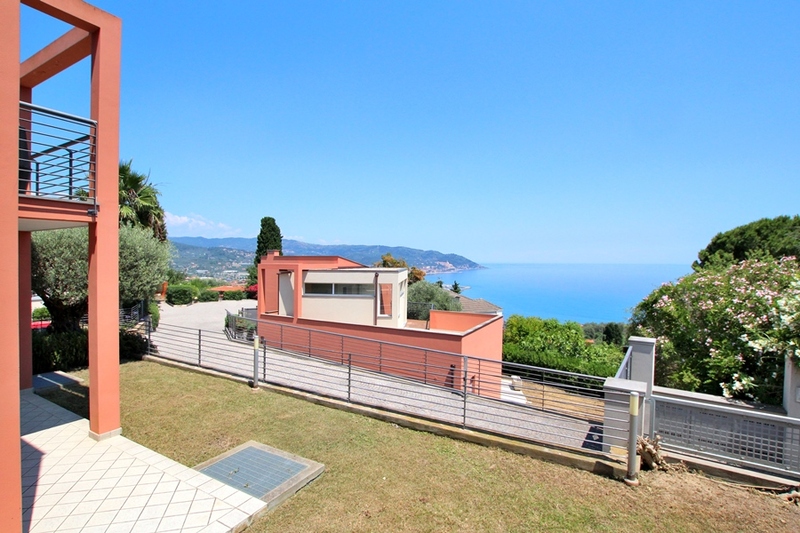 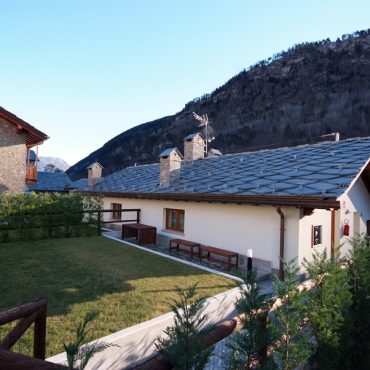 For sale a beautiful, newly built and fully furnished villa on two levels with spectacular views of the Gulf of Diano! 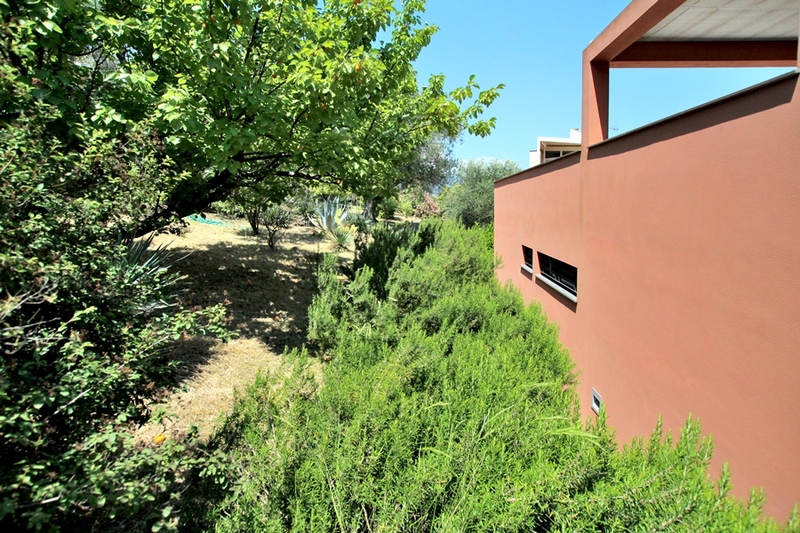 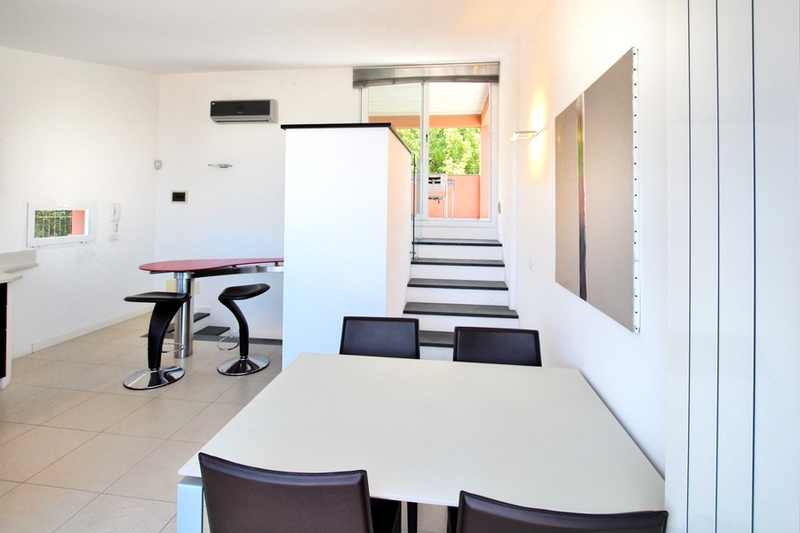 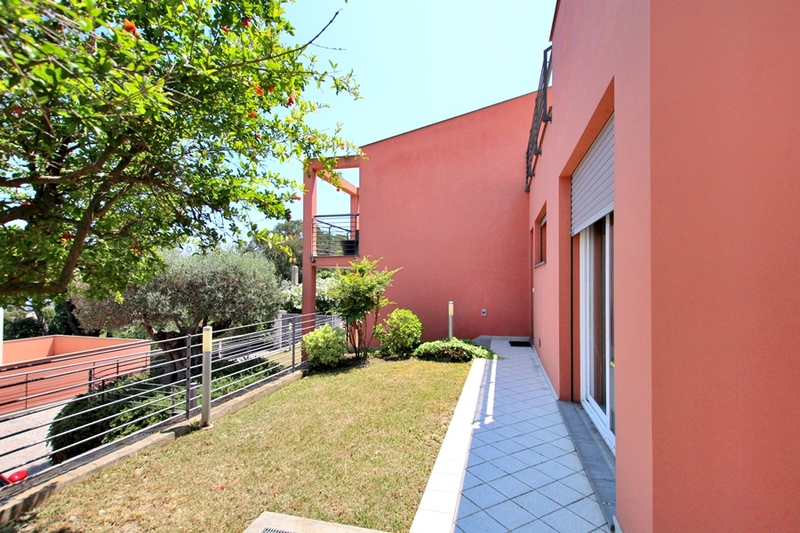 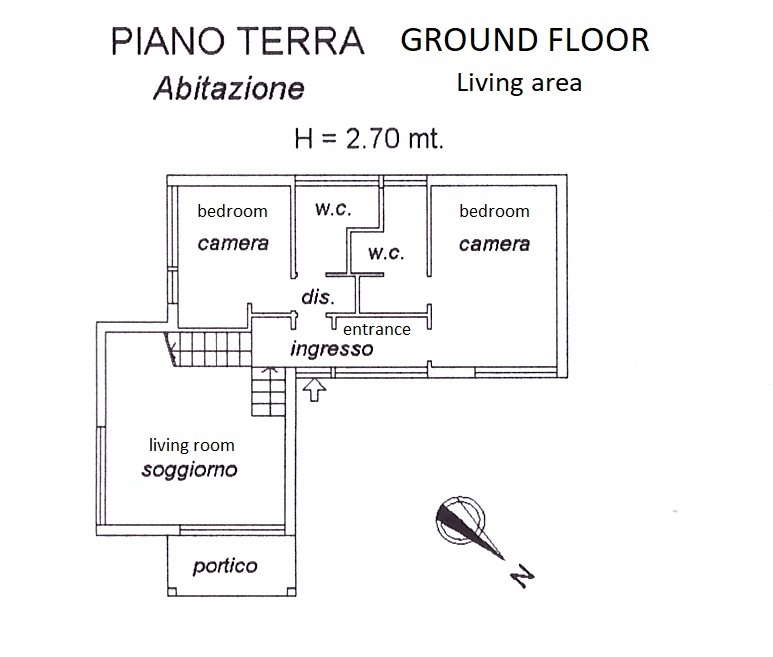 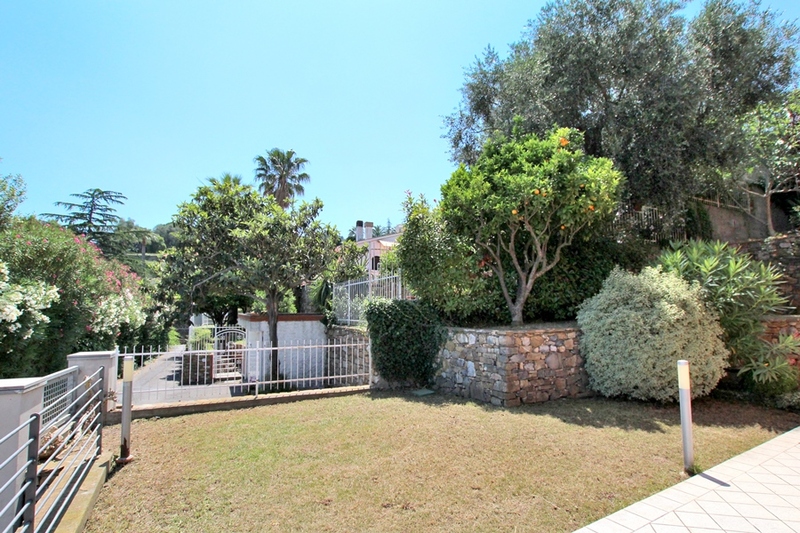 The building remains in a reserved area of ​​prestige and consists of entrance hall, living room, two bedrooms, two bathrooms, two wardrobes, porch and about 400 square meters of private garden. 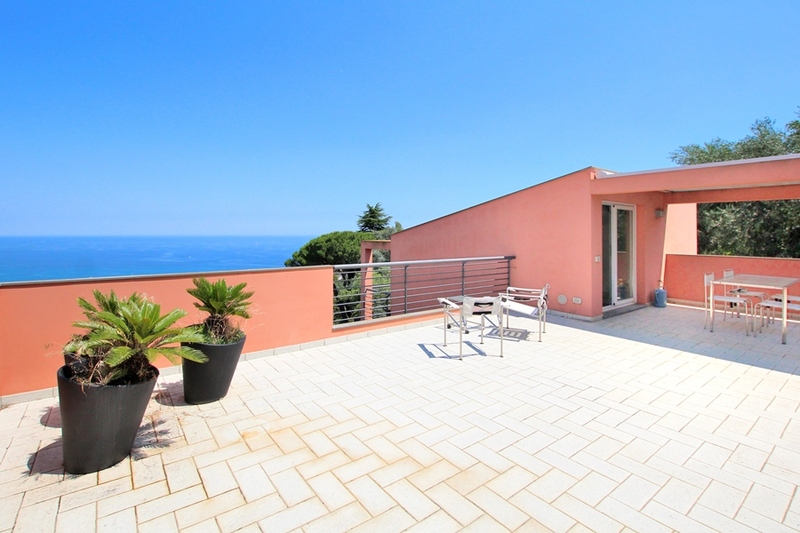 First floor has a large terrace, a part of which is covered, a terrace overlooking the sea and living room with kitchenette. 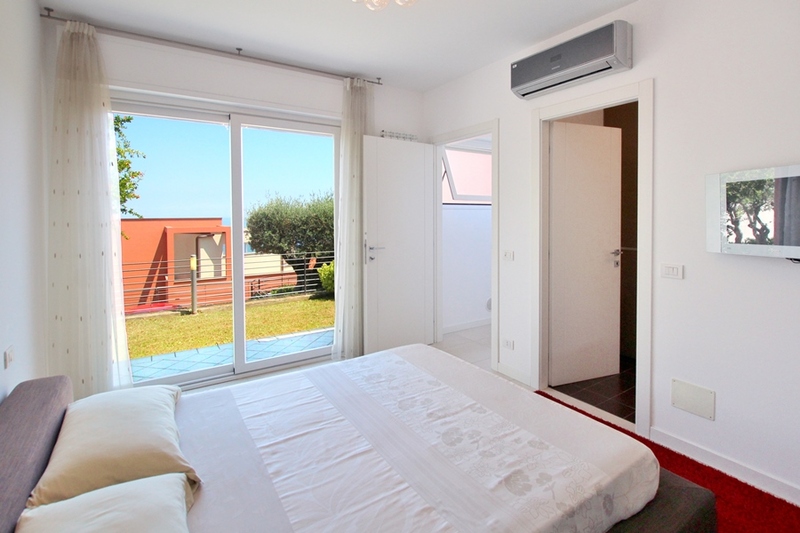 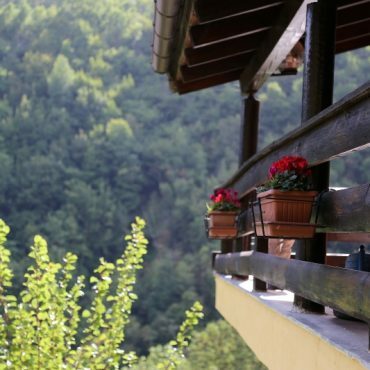 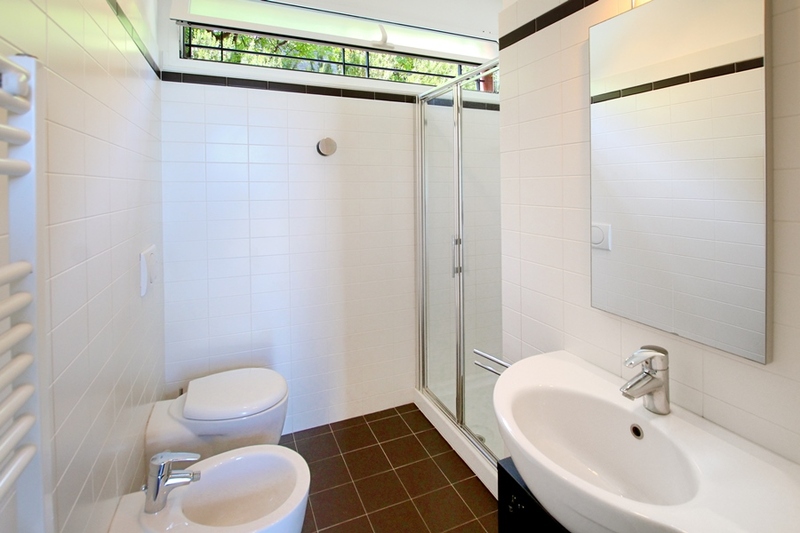 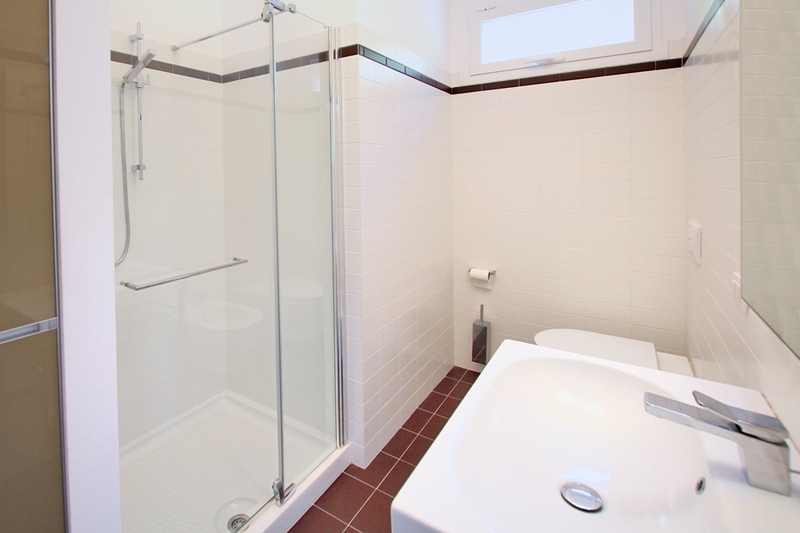 Each room is equipped with A / C, heat pump and central heating. 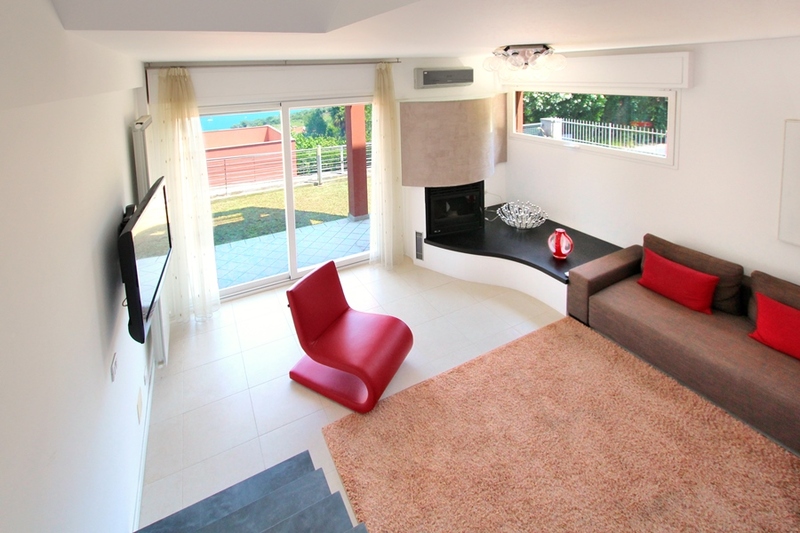 As a supplement there is a pellet stove in the living room on the ground floor. 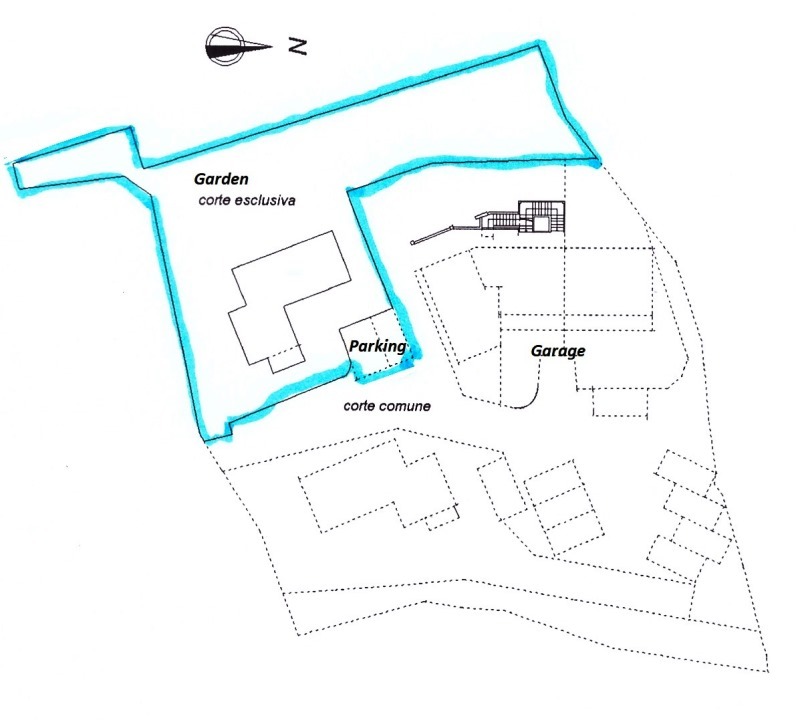 The house has a double alarm of the last generation and the square is protected by an automatic gate. 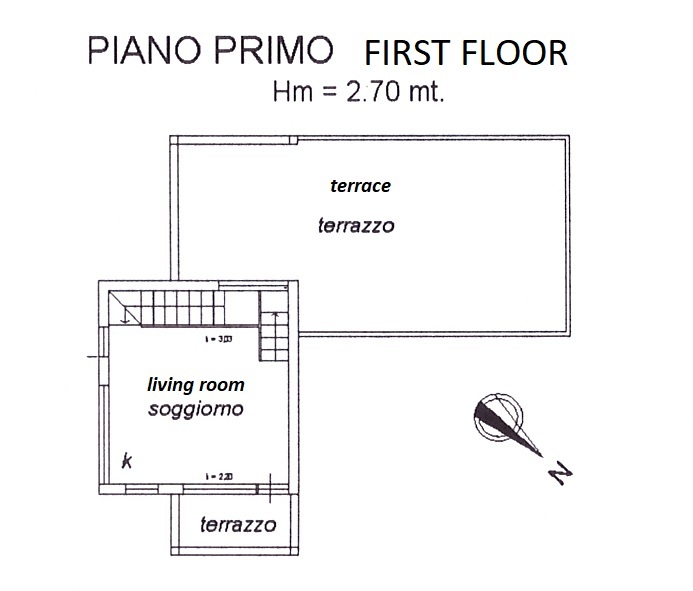 The living area is about 110 square meters and it has been approved a volume increase of about 25%, which can be carried out immediately after presentation of a D.I.A to the Municiality. 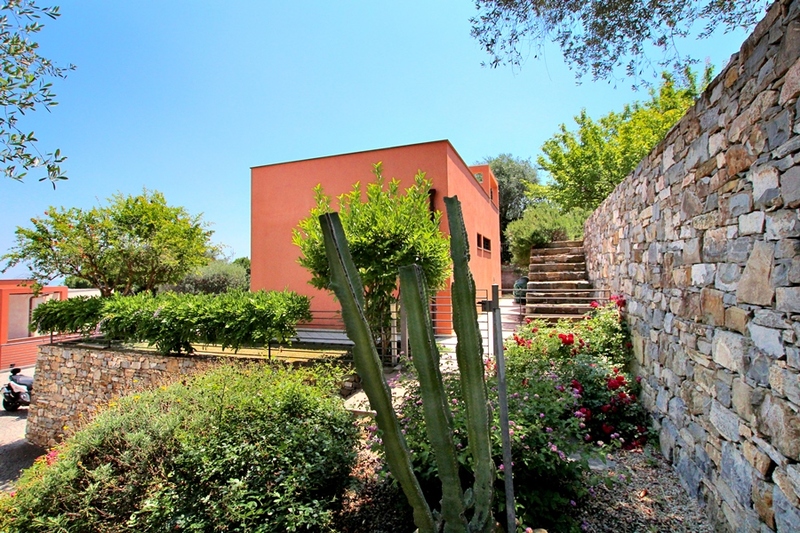 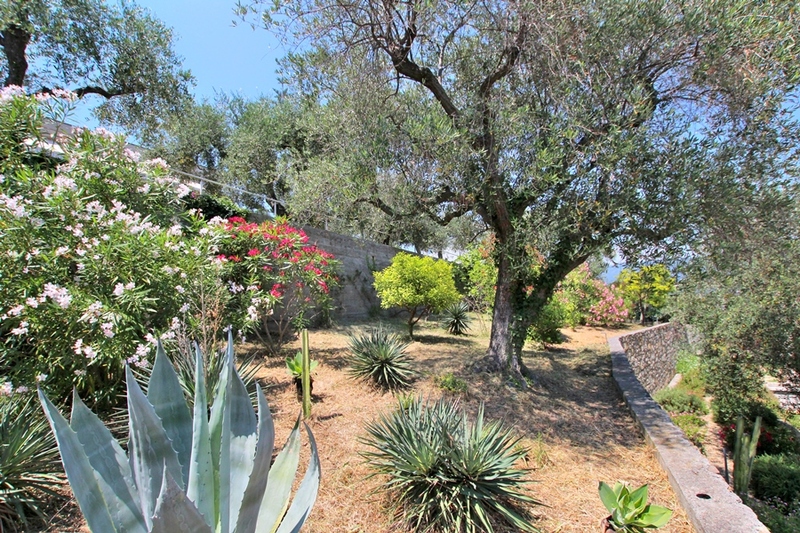 The villa is surrounded by about 400 square meters of garden on several levels with stone walls, olive trees and Mediterranean scrub. 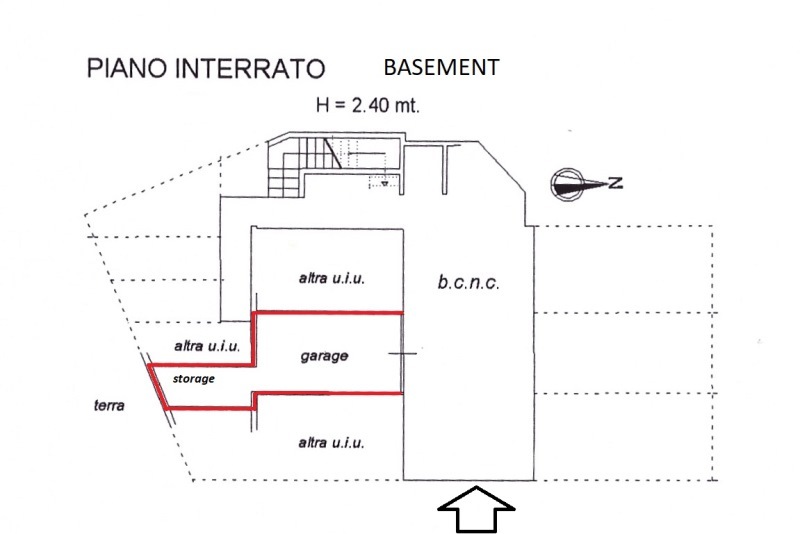 A garage with an adjoining cellar and two parking spaces are included in the sale.